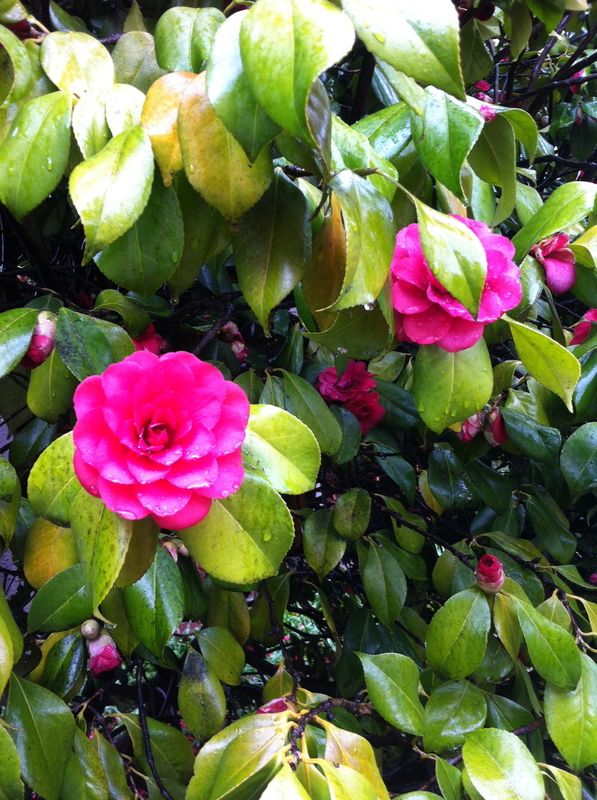 WHERE THERE IS RAIN, THERE ARE BLOSSOMS! Ok…maybe that should be written Confessions of a Fair Weather, Phone Photographer. Most of the time I love listening to the rain pounding on the window or cascading onto the patio, especially if I know I can stay cozy inside, feeling virtuous in that there was no pressure to be “outdoor active cause of all that rain - that relentless, ever present rain. So as a result, those years have sped by and I’ve not seen much of the city I live in. I have made myself a vow to become more acquainted, particularly as you never know when circumstances may change and opportunities are lost. As I transition from a corporate life, to striving out on my own professionally, I should have more opportunity and motive to experience what I have been neglectful in doing so far during my life in Vancouver. To NOT do so would be a crime against myself. To take that one step further, and close to the ridiculous, I am no longer handcuffed and shackles have been released. Oh my…. Too much time in my head! As many of those reading know, my professional practice is centered on psychological health and safety in the workplace; experience design from all aspects of a brand but particularly focused on the employee experience. I am truly passionate about my chosen profession and believe it is important for me to practice what I preach – so to speak. With that in mind, on the personal side I am a walker, not just in name but also in life. I choose to live in a city where walking wherever I want is very possible and not foreign to the culture of the city. I will never be an LA girl that has to get in a car to go to the corner store and even my time living in Toronto was divine based on the neighborhoods I got to meet through spending each of my weekends in a different one. I no longer own a car – by choice – and if I do need to go farther than I can walk, I like a city with a great public transportation system and am a member of two different car share programs. I love to see the world moving at a walking pace, which can be leisurely at times, as anyone who has regularly walked with me can attest. Anyway, at the end of my last “job”, as I was venturing out into the world of self-employment and able to start seeing the world during the daylight, weekday hours, I was struck with an acute Achilles’ tendonitis. Limping was now my mode of mobility. Even standing on one leg was an impossibility. Through month of physio and walking therapy I am again mobile and on occasionally (knock on wood!) limping - back to living up to my name. I am blessed in so many ways in my life; it would take me days to recount them all to you, even if we started right now. But one of the key areas I am grateful for every day is I was raised by parents who have instilled in me a firm – to my core – reverence for nature. Even when being dive bombed by the mother robin on my deck, I had to appreciate her role in protecting her young – her kin. Nature and being close to it has a lot of meaning for me. I am not only living in one of the most beautiful cities in the world but it is also one of the top 2 most expensive cities in North America, from a cost of living perspective - really not fun when all resources are going towards the new business. So when looking at what I was going to do for my challenge with my friends, I decided to try and cover off a couple of areas at once. My choice was to be a tourist is my own city (which as I mentioned I haven’t really done since moving to Vancouver this time around), do things that involved no money, got me moving and working on maintaining my physical health through connecting with nature and therefore strengthening my mental health. Long story short, that brings us back to today. 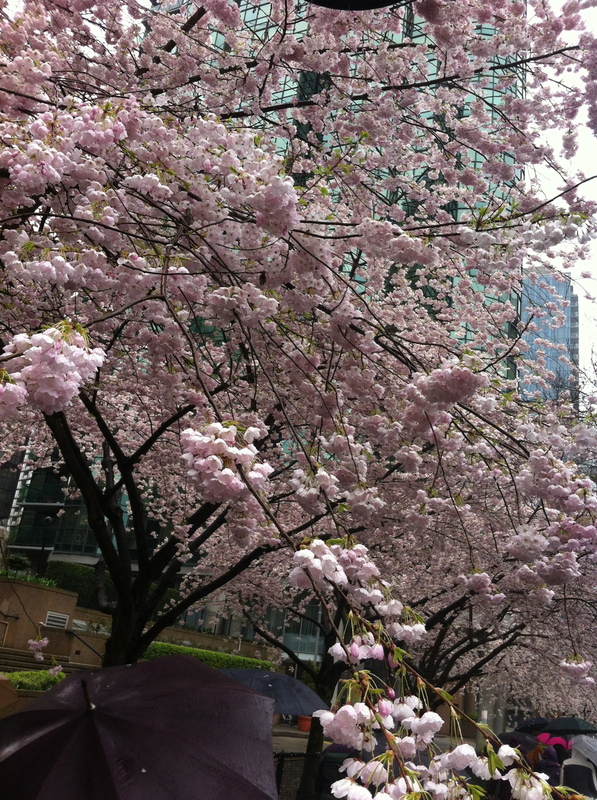 For over 10 years I have wanted to take in and truly appreciate the Vancouver Cherry Blossom Festival. There are many benefits to living where I do and, after the winter many friends and family experienced this year, it seemed sacrilegious to not get out and enjoy it. 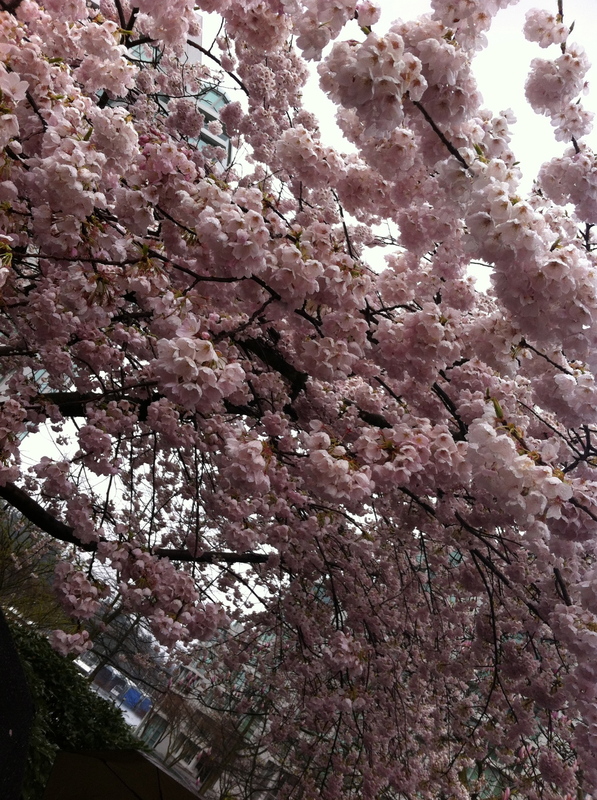 I opted for taking a walking tour through downtown to get to know the variety of blossoms that are out there. But you know what? The dealmaker in me is so smart! 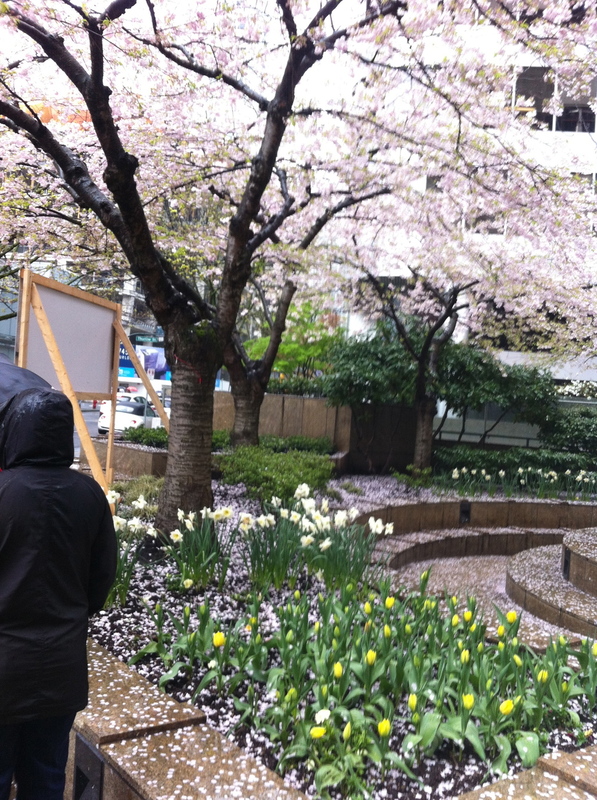 Once I got out into the blossoms and saw over 40 other people who had made a commitment to themselves, not to mention the tour leader who was so passionate about her topic and smilingly handed out soggy maps, it became really easy to carry on. Through the course of the afternoon I learned the differences between various varieties of ornamental cherries; what plum blossoms and even maple blossoms look like. I became an even bigger fan of magnolias (how can something so beautiful exist all around me?) 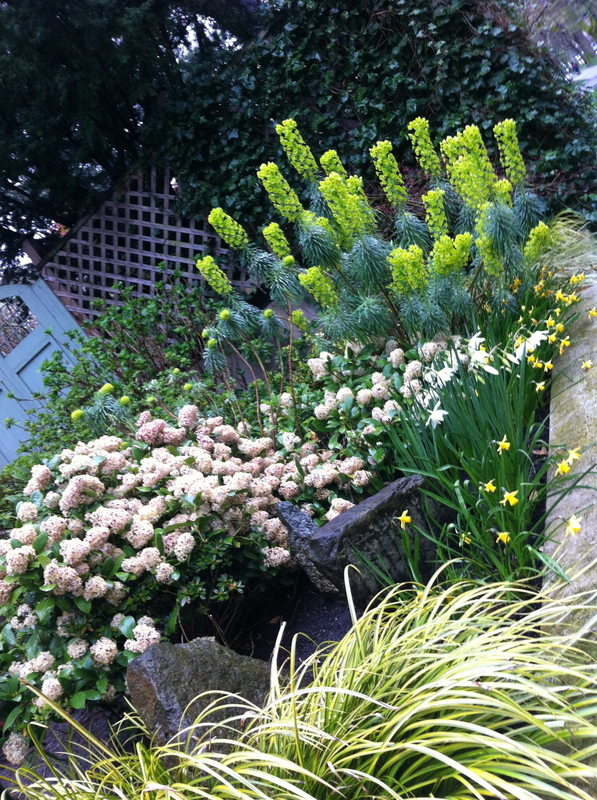 and can’t wait for the rhododendron and azaleas are in season. I saw a rare sighting of that illusive creature – the freestanding pay phone…. (2 of them – imagine!). 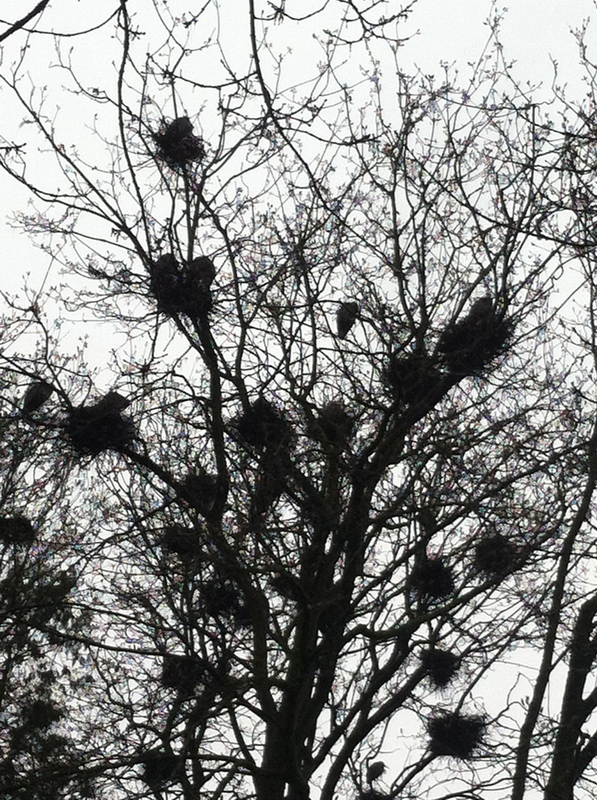 The heronry was where we finished and what an awe-inspiring location for the tour itself to come to an end. I saw parts of the city I’d never seen before or maybe just didn’t notice. I realized that I still remembered how to dress warm and even what it must feel like to be a little baby duck scurrying across the road with the rest of my gaggle to keep up with mommy duck. No matter where I go next or where my life travels will take me, I have thoroughly enjoyed these new indelible imprints of my time in Vancouver to be added to the treasure of imprints already in my mind. Just to be safe though, I took lots of pictures. If they don’t seem very good, remember I did say that I was a phone photographer. If you like them, and can see even a fraction of the beauty I saw today, then what can I say. Nature really does take the ultimate and best selfies. Now here’s my last confession for today….. sssshhhh…… don’t tell anyone…quick, look around to make sure no one is listening… now…lean in close…. I sort of hope it rains again next weekend! And do stay tuned for an upcoming blog…. 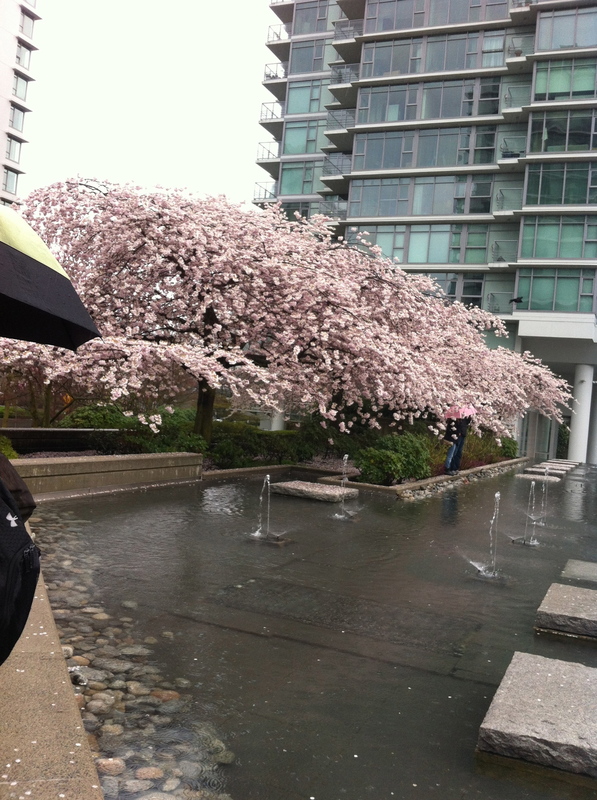 A psychological insight into umbrella use… I mean.. really, an IKEA golf umbrella on a walking tour. Nuf said. Ciao for now.